18,772 • This my first fixed bike. ’13 Felt Brougham. 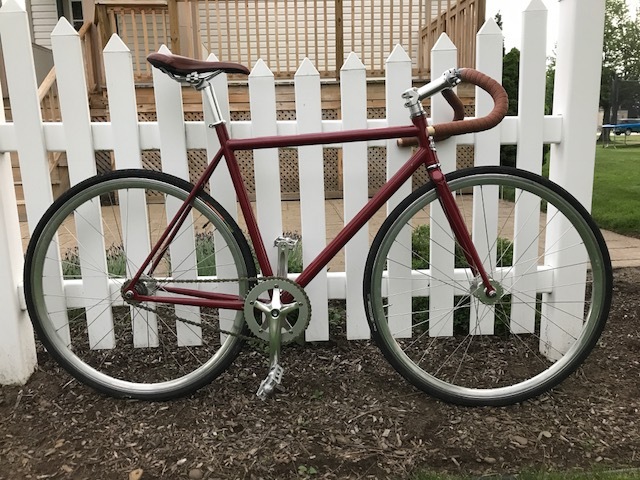 Simply swapped out the stock saddle, bars, and peddles with an Origin8 Pro Uno-S saddle, 42cm Soma Major Taylor drops with cheap brown wrap and a couple of used wine corks, and MKS touring peddles. Currently setup 47×17.